The montage is a time-honored tradition of speeding up the passage of time and getting Sylvester Stallone into fighting shape. Throw on a great song and a montage could even give the Cleveland Indians the motivation they need to go from worst to first. So here’s what we think are the best of the best. When you need to spoof a staple of most action movies, who better than the creators of one of the best cartoon series? Matt Stone and Trey Parker do a brilliant job in showing the viewer how silly a montage usually is, and adding marionettes to the mix gives you the over-the-top hilarity that only Stone and Parker can give you. The whole sequence screams 80’s with the synth music in the background of the song appropriately titled ‘Montage,’ complete with a shout out to the film that arguably created the montage, Rocky. Stone and Parker took a cliché and turned it on its head, and it hasn’t been done better since. If someone asked me to describe the 80s, I would show them this montage. It has everything: ridiculous amounts of money going through a counter, white suits with shirts buttoned halfway, Michelle Pfeifer using cocaine, a synth-pop song and a tiger. With all due respect to the Rocky montages — which are really good — this one is my favorite because of the sheer absurdity of it. While it’s not to the inspirational level of Stallone’s epics, it does its job of foreshadowing the rest of the movie perfectly. And, did I mention that there’s a freakin’ tiger in it. If you know me on a personal level, then you know two things about me: I unironically love the song “Hey Jealousy” by The Gin Blossoms and Up made me cry like a baby. I’m not ashamed to admit that Up made me into an emotional wreck from the very beginning; I chalk it up to amazing storytelling and the opening montage is everything that you could ever hope to expect from any story. 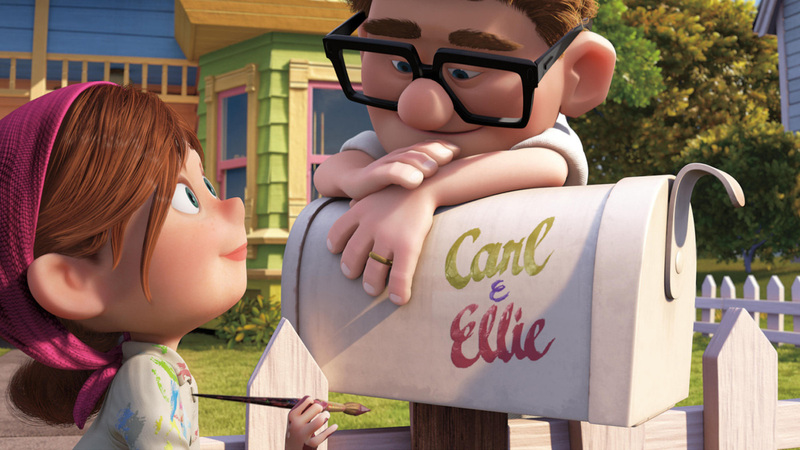 In it’s short runtime, the montage perfectly encapsulates the entire marriage of our hero Carl and the love of his life, Ellie. It could have been a short film all its own. The fact that it is done without a single word uttered exemplifies how powerful a montage can be. Which montage do you think is best? Vote in the below poll! Think we missed one? Post a comment and let us know what you think tops them all.